Callen’s Castle, unlike surrounding all abilities parks, will be free of charge and ran by the City of New Braunfels. The park will mirror its policies to those of existing parks and will be open to any patron interested in utilizing the unique public space. Once December 8, 2014, the New Braunfels City Council voted to approve reserving 4.016 acres of city property on FM 1044 for the future use of an All Abilities Park. 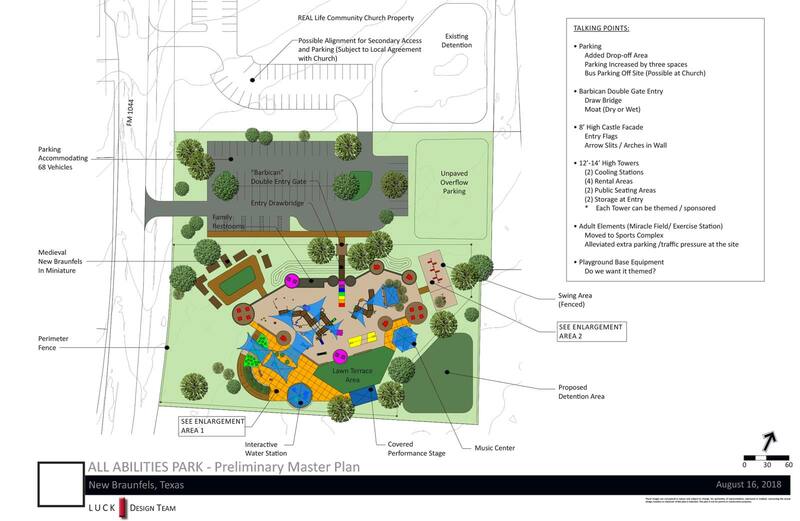 Since that time, the City of New Braunfels has hired Luck Design Team to facilitate public input and development of a Master Plan for the park, which was ultimately approved by the New Braunfels City Council on January 11th, 2016. Since then the City of New Braunfels has explored the opportunity for funding through the 2019 Bond Election. Luck Design has designed an updated Master Plan as seen below. The City has agreed to place the All-Abilities sports field in the new Sports Complex which opened more room for the current playground design. This plan has more details regarding the physical appearance of the park tying into the name Callen’s Castle. The conceptual cost of this project based on the Master Plan is now $6 Million. Currently, the foundation has raised right at$45,000, sitting at 0.75% of the projects estimated cost. Due to the costs, the project will be set up in two construction phases, listed below. Implementation of the park construction will begin once the funding for the initial phase has been secured. The cost of the project is sensitive for the type of equipment and safety features that are needed. 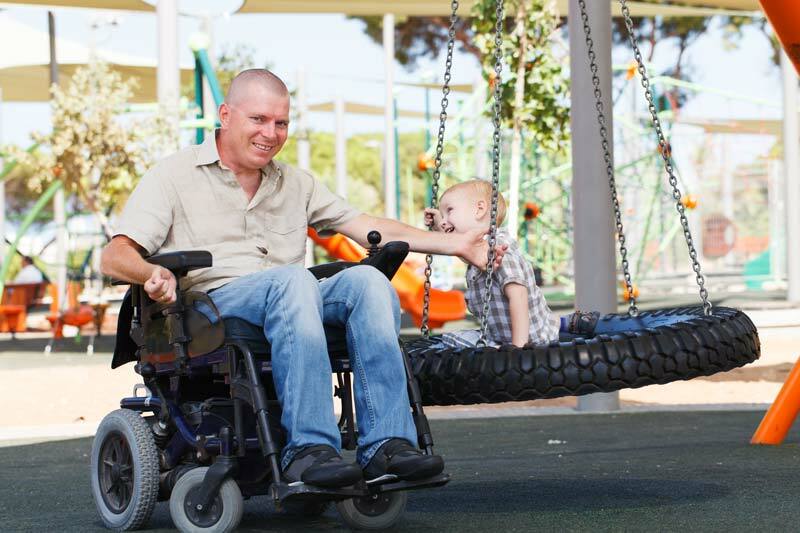 The park is designed with consideration for the needs of all children, adults, and seniors with or without disabilities who may not find the same amenities at a regular park.